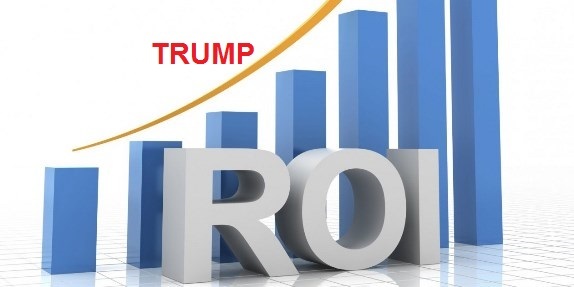 What’s our return on investment, or ROI, in our vote for President Trump? We know what the establishment media is already saying: President Trump’s first 100 days have been a failure. However, in terms of conservative ROI, the confirmation of that one Supreme Court Justice might have been worth the whole election. At least that’s what our libertarian-oriented friend Representative Thomas Massie (KY-4) thinks. Massie, who is not necessarily always a fan of the President, said the President is off to a great start, and told Sean Moran of Breitbart News that the nomination of Neil Gorsuch was a defining moment for the Trump presidency. I’m excited for the wins that we got already, which includes Supreme Court nominee Gorsuch being confirmed and that’s going to last for decades. Neil Gorsuch was worth the entire election, everything else is a bonus. Among the “bonus” items Massie identified were President Trump’s rollback of the EPA’s Waters of the US rule and the Social Security gun grab, and the President’s Executive Order attacking the regulatory state. Manning reminds us that “Creative destruction” is the term MIT economist Joseph Schumpeter used to describe the capitalist process where business constantly seeks product and process upgrades that result in the development of new and improved ways of doing things and new products that drive out the old and outdated ones. In Rick Manning’s analysis Donald Trump’s first 100 days should be judged on whether he is successfully generating the creative destruction the voters demanded, and by any standard, says Manning, he is doing just that. By exiting the Trans-Pacific Partnership, Trump is resetting what it means to be a trade partner with the United States. Donald Trump’s budget is equally transformational, says Manning. In proposing the elimination of agencies like the Corporation for Public Broadcasting, National Endowment for the Arts and National Endowment for the Humanities, Trump is signaling that his administration will end government payments to organizations that could be better supported by the private sector. And perhaps most consequentially, said Manning, Trump has re-ordered how the United States is going to interact with the rest of the world. Each of those is a significant return on the vote conservatives invested in Donald Trump. Measured strictly on a quarterly basis, the conservative ROI on our vote that we achieved with the Gorsuch confirmation was stellar, and that investment is likely to continue to pay dividends for years to come. Likewise, the conservative ROI on regulatory reform will pay dividends, not just in the short-term, but for years to come. However, American business is often criticized for having a shortsighted quarter-to-quarter focus on profits and American politicians are likewise criticized for focusing on today’s polls, rather than doing the hard work to sell long-term policy results. From our perspective, having worked at the White House, the Senate, the House of Representatives and an Executive Branch agency, those same critiques apply to complaints about President Trump’s first 100 days. The establishment media will look at President Trump’s campaign promises and “what I’m going to do on Day 1” rhetoric and claim the President’s first 100 days have been a failure. Many Trump voters are frustrated, and might be tempted to agree. Some of President Trump’s biggest promises, and the ones that are likely to pay some of the greatest returns on the investment we conservatives made with our vote for President Trump, such as the Executive Orders on Border Security and Sanctuary Cities and the repeal and replacement of Obamacare, aren’t giving us any return – yet. But that’s not because President Trump didn’t put them in motion; it’s because they were stymied through the overreach of liberal judges and the failures of the Republican leadership in Congress. The establishment media and the #NeverTrump crowd will focus on what isn’t yet final and judge President Trump’s first 100 days a failure. However, ignoring President Trump’s successes and judging the President’s results strictly by what investments haven’t yet come to maturity is a shortsighted view of the conservative ROI of President Trump’s first 100 days. As a builder, President Trump understands that you are aren’t going to book a profit in the first quarter after you break ground on a new project – what’s important is keeping the project on schedule and under budget. The Executive Orders on Immigration, the Obamacare repeal and replace, and the Sanctuary Cities Order were investments in creative destruction that are going to take more than one quarter to mature, but the fact that those actions are in the pipeline and have by no means been abandoned bodes well for future dividends.